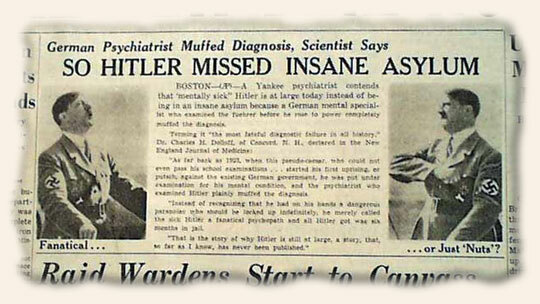 AND as for stating the obvious… Hitler insane? We recently discovered a surprisingly interesting article in the Minneapolis Morning Star for June 30, 1942. At first glance it seems to state the obvious. However, upon further reflection, it might be interesting to explore the backstory as to the motivation behind his 1923 evaluation. Perhaps there is nothing here to uncover, but it makes one wonder.